Production on the Han Solo movie has begun, featuring Donald Glover stepping into the shoes of Lando Calrissian. And I know some of you may hate this character, but please allow me to help you recognize the true hero of the Rebellion, General Lando Calrissian. 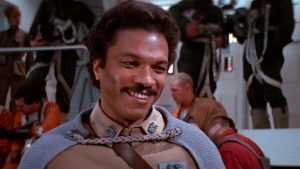 We’ve all seen the Star Wars trilogy hundreds of times, cheered for Luke, Leia, and Han while secretly wanting to be as badass as Vader, but Lando is always looked on as a side note, a hustler, someone who betrayed his friend. I want to take a deeper look at the importance of this character both on and off the screen and bring the haters over to the light. The first time I saw Lando in The Empire Strikes Back, he’s an independent entrepreneur, minding his own business in a far off corner of the galaxy when the Empire shows up in orbit looking for Han. Lando now has Imperial problems because of someone he hasn’t seen in years. When Han does show up, he drags Lando further into his problem. Caught between a rock and a light saber, Lando has to sacrifice his situation and business to help his friend. 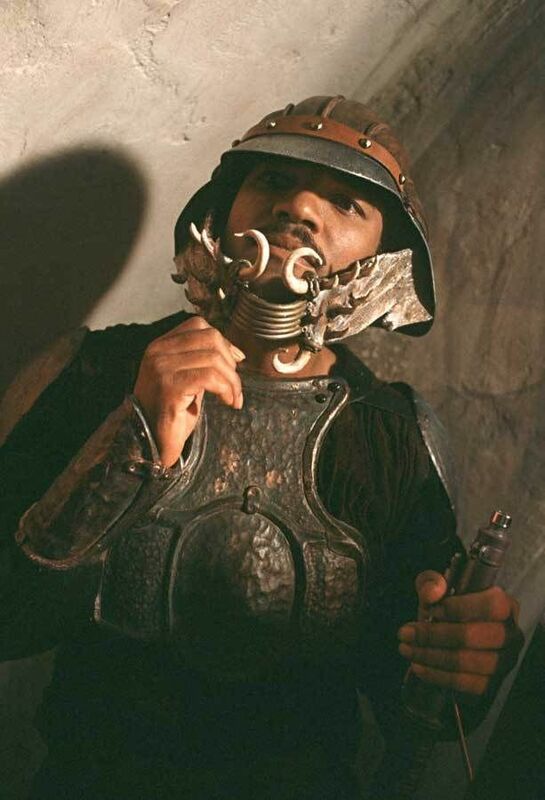 Lando Calrissian in Return of The Jedi. Here’s where the importance and tactical genius of Lando comes through. 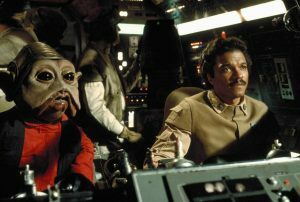 As Ackbar begins to retreat, Lando convinces him not to, and to give Han and Leia’s team more time to take down the shield. If that wasn’t enough the Alliance now has to deal with a “fully armed and operational” Death Star that starts picking off their capital ships, one at a time. On the fly, Lando works out a strategy to keep the Alliance ships in the fight by bringing their ships closer to the enemies using them as cover from the Death Star giving Han and Leia’s team extra time to complete their mission. Alliance forces are on the ropes when Han and Leia finally get saved by munchkin Wookies and are able to bring the shield down, giving Lando the freedom to fly into the Death Star in a ship roughly the size of the Rockefeller Christmas Tree. Let’s pause and examine this: he’s basically flying an Airbus through a construction site, at high speed, while getting chased and fired on by some of the most racist people in the galaxy. Yeah the Empire was all about that space wall. But Lando is the coolest Nerf Herder in the galaxy, he blows up the reactor, hits the turbo boost and blazes out of there, literally. 5. Luke’s Death Star was smaller. 4. Thanks to what we learned in Rogue One it was designed to explode. 3. He had Han covering him. 2. He didn’t have to fly inside that thing. 1. And the most important point, Luke has the Force! Even if he did die he just would have become a Force ghost. In a nutshell, the Alliance would have been broken over Endor if not for the leadership and skill of General Calrissian. 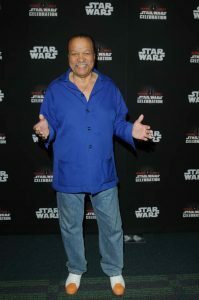 For us sitting in the theater taking it in at the time, Billy Dee Williams portrayal is important because he was one of the FEW actors of color to make it to a science fiction screen with a prominent role. Star Trek had Uhura, but her roles in the movies were mostly to support the Captain. We don’t get to see how badass she is until the reboots. And it would take decades before Lando wasn’t the ONLY person of color in the Star Wars universe. The thing that truly resonated with that kid 30 years ago, is my man made it to the end of the Trilogy, with all his parts. A feat that even today is still a problem in the Star Wars Universe. I hope Finn/ John Boyega has a three movie deal and he’s fixed up by the next one. I want to see him at the end celebrating like Lando did on that backwater moon. Thank you to George for creating this great character and to Donald Glover for keeping this unsung Hero alive for a new generation. As a fellow geek I’m sure you understand the significance of getting this right, I’m not worried as I see the Force is strong in you. And to the originator, Billy Dee Williams, I can only say many thanks to you sir for helping break stereotypes and color lines, and bringing us along for that jump to light speed. George Carmona 3rd is an Artist/Designer/Writer, former Milestone Media Intern, former DC Comics paper pusher, book lover, lifelong comic geek, and generally rocks with Star Trek, but knows his way around a lightsaber. You can find his work at FistFullofArt.com or follow him on twitter at GCarmona3. ENTER THE WARRIORS GATE | Check Out the Official US Trailer!